The Abbotsford Downtown Business Association (ADBA) today is well positioned to act as the little engine that propels revitalization and economic activity in Historic Downtown Abbotsford. The wheels are in full motion with the engine humming - Downtown is again on the road to becoming a vibrant, enviable and diverse shopping and socializing destination, and a key commercial district. 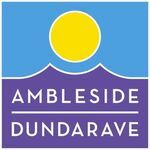 Established in 2016, the Ambleside-Dunderave BIA is an independent, non-profit association created by businesses to establish a unified voice on the issues that matter most. With 529 businesses and 252 property owners our purpose is to make Ambleside, Hollyburn and Dunderave the shopping, dining and service destination of choice for West Vancouver residents and visitors. The ADBIA is a catalyst for creating strong economic vibrancy through advocacy, promotion, branding, events and partnerships - connecting stakeholders and delivering results. The Austin Heights Business Improvement Association (AHBIA) is the first official Business Improvement Association (BIA) in Coquitlam. The AHBIA has made it their goal to develop Austin Heights as a community; to build on established relationships and build new relationships for a prosperous future. Austin Heights is proud of its business owners! One of the more established neighbourhoods in Coquitlam, Austin Heights is conveniently located just off of Blue Mountain Street. This bustling commercial area offers an abundance of specialty businesses, professional services and delectable restaurants. Austin Heights is simply packed with local fare! Make Austin Heights one of your destinations to visit soon. Plan to attend the annual Daisy Day Festival in June, meet friends for dinner or simply stroll the streets while sipping a latte! The Heights Merchants Association is a Business Improvement Area (BIA), consisting of approximately 350 merchants and 150 property owners, that actively promotes the Heights, improves its physical attractiveness, organizes events, attracts shoppers and businesses to the area, solves problems and advocates on behalf of its members, implements plans for our neighbourhood’s future, and contributes to the community in multiple ways. The Burnaby North Road BIA is a Uniquely Cool blend of shops, restaurants and services from many cultures but perhaps is best known for being home to the largest Korean shopping district in the Province. Come and check out our amazing restaurants - you can 'Dine around the World on North Road'. With many new developments underway our area is booming, attracting people from the GVRD and around the globe who are looking for a place to call home. We are within walking distance to public and high schools and a short distance by skytrain to Simon Fraser University. Situated along a very busy North Road corridor at Lougheed Hwy, we are easily accessible by skytrain (just take the Lougheed stop) or car (close to Hwy 1/Brunette exit).